This lightweight cross is both timeless and true to the subtle, minimalist trends. It is very little (teeny tiny actually!) 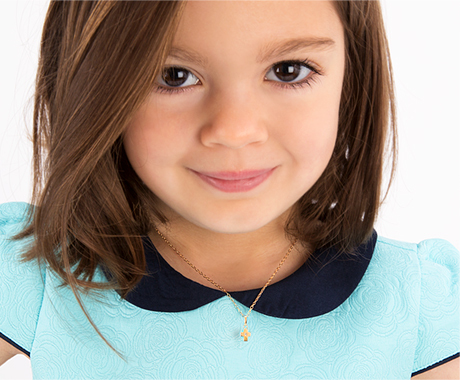 and is a perfect addition to every young lady's jewelry collection.